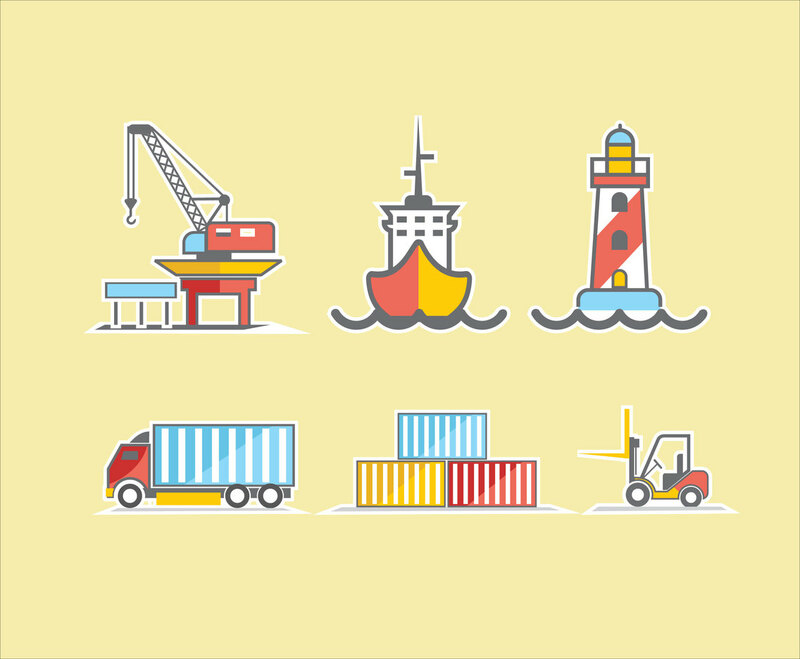 Check this vector illustration if you need any illustration related to shipping, port or loading dock. As it includes many stuffs such as crane, stack of containers, container truck, ship, lighthouse, and forklift vector illustrations. Must be helpful as you just need to directly use one or a few of them for your design project and editing them will also be so easy!